When it is about intelligence most people think it is all about being good at mathematics or statistics. If you are good at writing down fancy looking formulas, people will believe everything you say, even if it is in no way related to your field of expertise. Yes, I am exaggerating a bit to make a point. However, being good at playing with numbers and fancy Greek letters is not the only indicator of intelligence. Along with many others, creativity is among the most essential factors that form a bright mind. 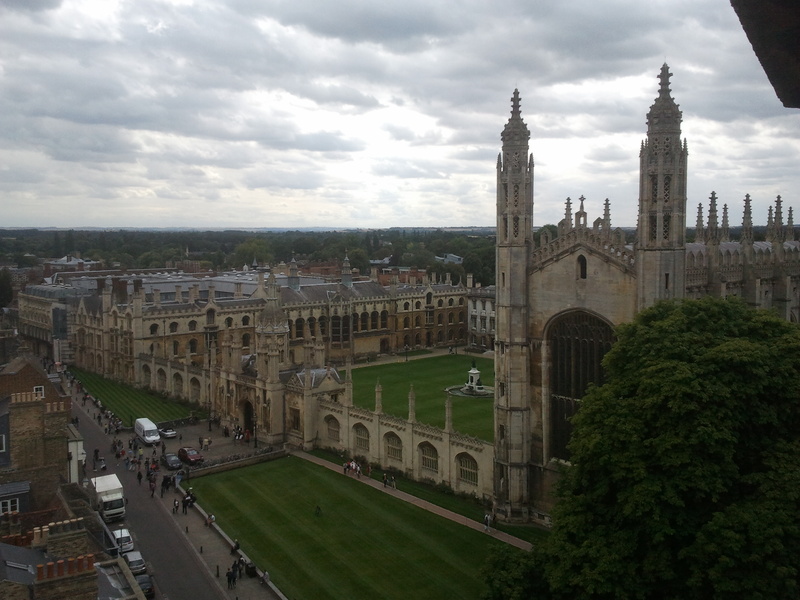 And as we enjoyed the view over Cambridge from the top of St. Mary’s Church today, we found ourselves surrounded by a series of architectural masterpieces. They testimony the creative potential of this place. But creativity is not only important for building churches and other monuments. 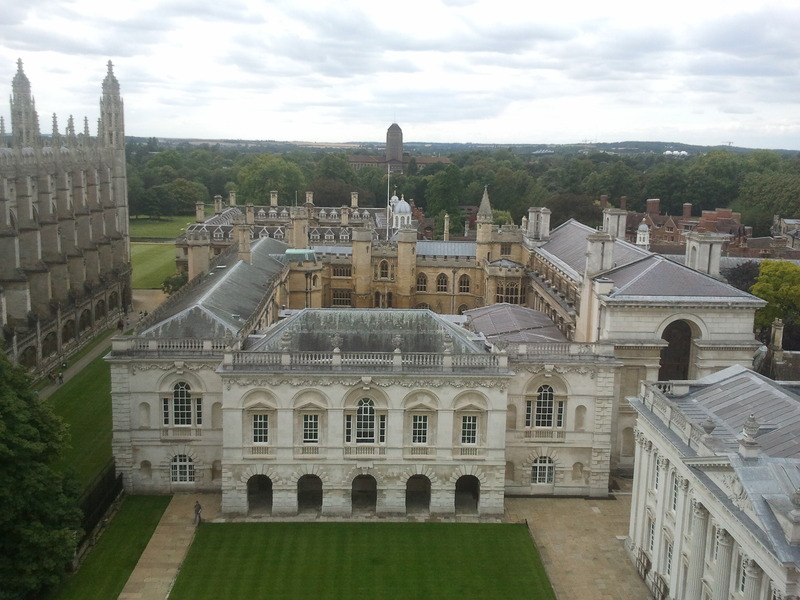 At my first morning in Cambridge I went to a café for my daily dose of caffeine. And while drinking my double espresso I sat at the window and looked at the nice, small paintings of a Chinese student that were exhibited there. But this was not the only creative thing in that café. They also seem to experiment with different flavours and, thus, offer very creative variations of sandwiches and baguettes which I am quite keen on trying during the next days of my stay. The street musicians also seem to be quite creative in this city. 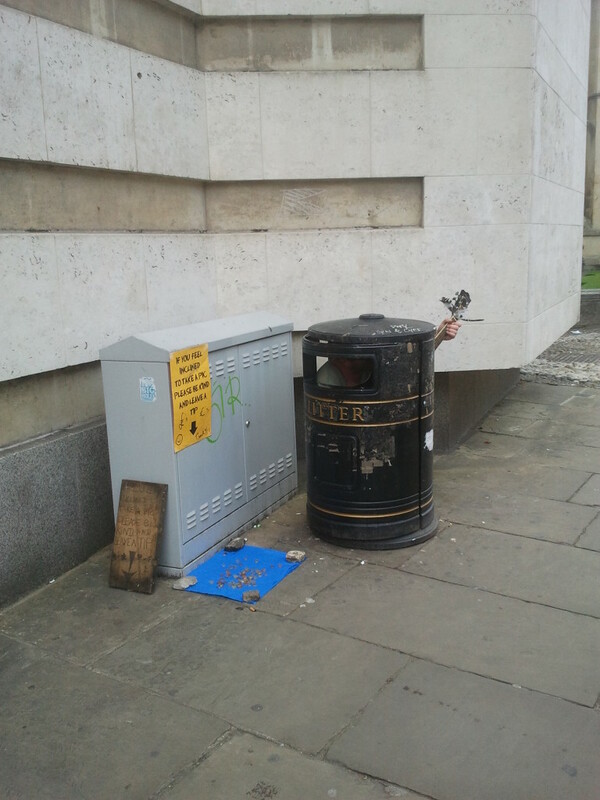 One of them played a catchy tune out of a litter bin. I am still not sure whether this was a sophisticated statement against the commercialisation of music or a simple trick to receive attention and, hopefully, some money.